Comfort and reliability during even the harshest road and weather conditions may probably be one of the most important aspects an individual looks for when shopping for a new car. Even more so, for SUVS and compact crossover vehicles, the need to strike a balance and yet still deliver the best of both comfort and motoring performance (with the additional factor of safety to be placed into the mix) is further highlighted. 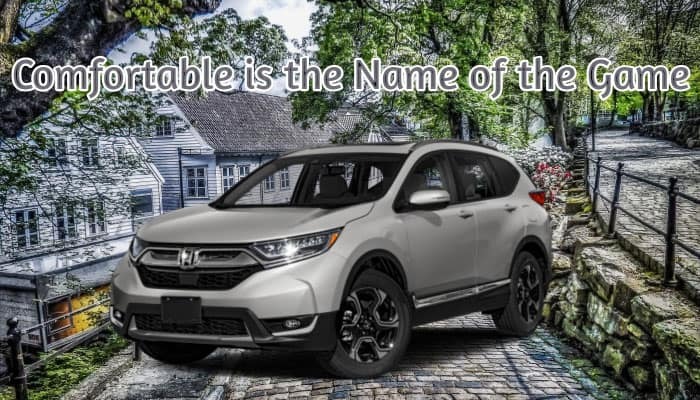 And this is why we are honored to present the ever-reliable powerhouse that the Honda CR-V has to offer. As one of the most popular models out of the impressive Japanese car manufacturing company, the CR-V is known to constantly surprise drivers with its every new release. We’d like to share more details on why this compact crossover is a delight among motorists worldwide. The Honda CR-V offers an extra layer of comfort for the driver by delivering smart and capable engineering features. The Real Time All-Wheel Drive (AWD), constantly monitors and adapts to whatever road and weather condition the CR-V is currently in. 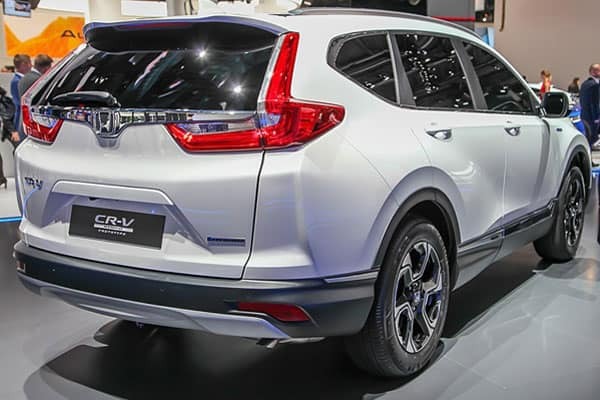 Also, the Honda CR-V comes in different engine variants to cater to any sort of driving styles. A 2.0 liter engine (which comes in either manual or automatic transmissions) has a maximum power output of 153 PS (at 6,500 RPM – maximum torque recorded at 190 NM at 4,300 RPM). The 2.4 liter engine option, on the other hand, has a maximum power output of 185 PS (at 7,000 RPM – maximum torque recorded at 220 NM at 4,400 RPM). No matter the choice, motorists are assured that the power output that the CR-V has to offer is more than enough to provide an exciting yet comfortable drive! Keeping your eyes on the road without losing sight of potential blind spots is possible with Honda CR-V. The car’s Multi-Angle Rearview Camera covers all bases when you need to go in reverse – normal, top-down, and wide view angles are possible, allowing you to keep sight of possible hazards or collision. Speaking of blind spots, the Honda CR-V also comes with an innovative feature that tracks of possible road hazards when you need to change lanes or detecting other vehicles on the road. This system notifies you when it’s safe to change lanes – just perfect when driving in busy urban jungles. The Honda CR-V’s LED headlights come in auto on and off features. This means drivers are assured that a bright and visible view of the road is always possible – without the pesky need of wasting energy for brightness! Sometimes, even the slight opportunity of having to decide whether to turn on or off a car’s wipers may be a split-second that’ll be crucial for one’s safety. The CR-V’s innovative feature of integrating rain-sensing wipers takes away this crucial split second from a motorist, allowing one to focus on what’s up ahead on the road! The Honda CR-V is also equipped with exciting infotainment features. Choose from Apple CarPlay™ connection to access your contacts or music library, or go for Android Auto™ for an equally-exiting alternative. Also, the HondaLink® feature allows one to access streaming music and even social media accounts, truly making each ride a connected one! Best of all, a Display Audio Touch Screen allows one to access it all in a convenient and safe manner. The Honda CR-V features an impressive active shutter grille. As much as this feature can be an aesthetic feature to scrutinize, Honda has been able to marry beauty with function with this grille: more than an icon, this feature improves the car’s aerodynamics, resulting in smoother drives on the road. As the car’s performance can adapt to any driving style, do can the design fit any motorist’s personality. Whether it’s a rugged persona or an executive-level appearance, the CR-V’s design works as an accent to a driver’s personality – definitely a car that serves as an extension to the owner’s moods and feelings! 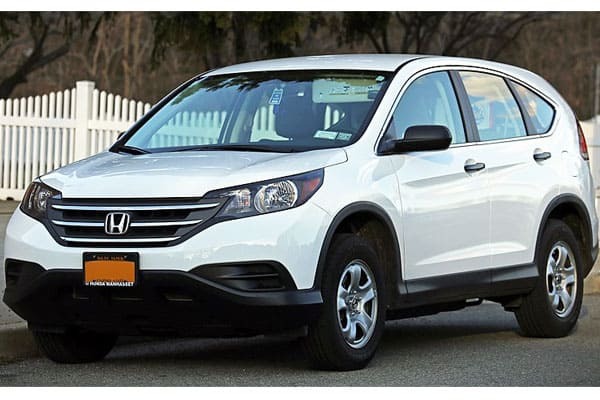 Make sure to contact the nearest Honda dealership for a chance to take the CR-V out for a spin. You won’t regret doing so!